GeekOut South-West is currently run entirely by two bloggers! Here’s who they are and what they had to say about themselves! 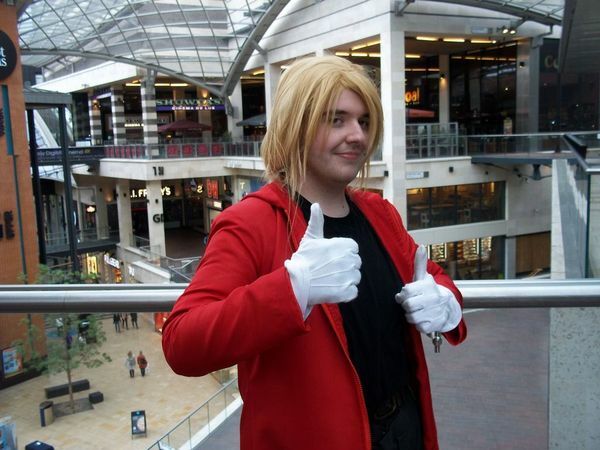 I’m such a dashing Edward Elric. Check out that stubbly goodness! I’m Tim and most people online call me by my handle, Timlah. I came up with the idea of GeekOut South-West because whilst there’s plenty to do as a Bristol-based geek, there wasn’t enough available to me! Life dictates that we get absorbed in our own little circles and thus we only get to know people who are specifically into the exact same things as us. I’ve been a geek since I was a child. I’ve always wanted to meet more people and after Ayacon Apocalypse, I decided “Enough is enough, I need to meet more geeks”. 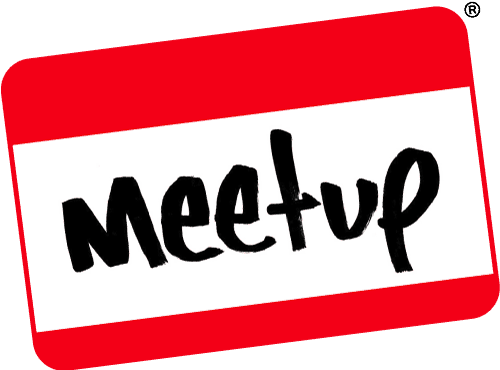 I looked into Meetup and started to look for a “Geek group” to meet new geeks. Unfortunately, I found specialised groups and actually at the time there was nothing for cosplayers or anime fans. That was a bit of a shame for me, as I had just gotten the bug for anime back into my life and I had just done my first costume. So, I figured: I’ll make my own group! A group about everything geek, to share experiences and share passions. The people who come to these events are very passionate, very vocal and are exactly the people to help spread the message. We’re at a great time, where non-mainstream interests are becoming more accepted, even if they’re not fully understood. I’d like that to be rectified but the only way that can happen is if we geek proudly and geek visibly. But I didn’t want it to end there. I still don’t want it to just be a social group. This is why this blog exists. To share our thoughts and opinions, hopefully opening up a world of discussions. People all over the world should be able to GeekOut together. It doesn’t matter what your geekdom of choice is, just so long as you’re passionate and you want to share. We meet in pubs regularly and we discuss everything geek. Just look at the quality of my phone’s camera. Good grief! I have been talking to many bloggers over the past few months and I’ve been grateful to have met some of them. I hope to meet more of the bloggers and hey, if you read this site and are local or near Bristol, either come along to the meetups, or drop me a line. I’d love to meet you and talk about what gets you excited! Also, I write for 1001-Up, so please do go over there and check them out. The other writers are all very talented and are all very honest individuals who love a good chat and look to make gaming news, reviews and previews. Ooh, I rhymed! I’m simply a guy who likes to get dressed up, have a good time, meet people who are passionate about their respective geekdoms and to encourage people to be vocal about who they are. 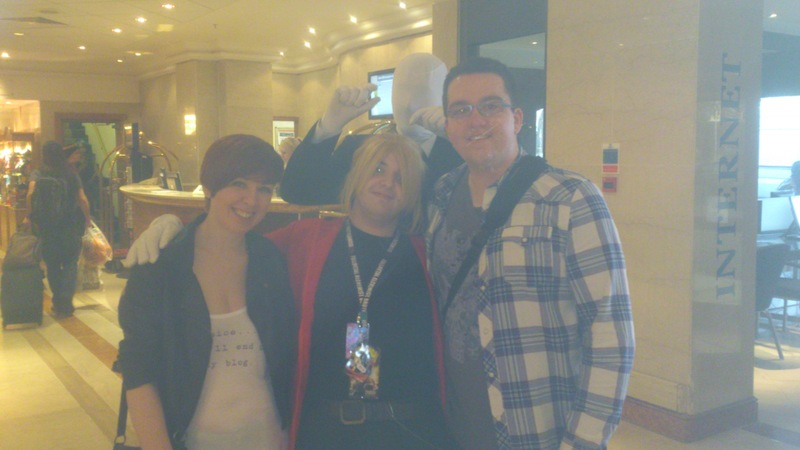 During Ayacon Apocalypse, I met Joel, who is one of the most switched on and interesting geeks I’ve ever met. I posed a question as to whether he would be my convention bromance forever and he said yes— Sorry, I got carried away. I asked if he would write for GeekOut South-West even though he isn’t from the South-West and he said he’d love to. Hey, I’m Joel. I’m a nerd, I’ve always been a nerd. I was raised on Terry Pratchett books and video games, designed games as a hobby from the age of… I dunno, something in single figures, and I have never changed. Today I’m a geek activist and advocate in Shrewsbury, and I’m actively engaged in trying to make my home town a hub for anyone considering themselves geeky, nerdy, or just desperate to share their fandoms with like-minded people. My first love has always been gaming, although that passion has evolved from computer, to miniature war games, and eventually into tabletop role-playing. My first ever game of Dungeons & Dragons I was the Dungeon Master, and I’ve been reluctant to let go of the chair since, I love the thrill of watching my friends wreak havoc on a world of my creation, and creating whatever horrors I liked to drop on them. I learnt a long time ago I’m a man of great ideas but very little talent (Crossed out by Tim who disagrees here ;D). Enter my friend Mike who helped me get my website Quotes From The Tabletop off the ground and taught me to pursue every idea I have and that there are people who will help make my dreams reality with enough conviction. Thanks to his attitude I now help a local company run their games days and I’m also working on getting a nerd film festival running. When I met Tim at Ayacon Apocalypse in 2013 I found someone who shared my vision and passion for a nerdier world. We became fast friends and allies against a boring civilization of mediocrity and half-assedness, and when he asked me to contribute to Geek Out South West I leapt at the opportunity to add my voice to his, and bring my own perspectives, insights and fandom. That’s our team! We’re little, but we’re pretty cool guys, honestly! Come share your voice and communicate with us as we’d love to hear more from you all! Aha! Tim’s plan is revealed. He travels from convention to convention seeking to recruit talent for his blog. Welcome aboard Joel. Okay guys… I know I’m too old, but… When i saw “Southwest” and “anime” on one page I couldn’t resist browsing your site . I’ve got to tell you I’m having a blast. But I quickly had one suspicion… I don’t think you’re In the southwest of my heart (the desert southwest of the USA). I was an idiot to leave there, and I’ve been trying to move back for years. Hi Teagan, I thought I had responded last night, but clearly not! D’oh! I think the fact we’re UK and not US should possibly be clearer… All we really have from an initial point of view is a line on the front page. I’ll think about what we can do to make this clearer for people, although we do tend to toe the lines a bit. Perhaps one day, we can help people from the south-west of the US?! I hope so.